Swimming with dolphins is commonly listed in the top ten things to do before you die. This day in the bay, with Orca Wild Adventures, is one of the best value, memorable experiences you can enjoy with family and friends or on your own. 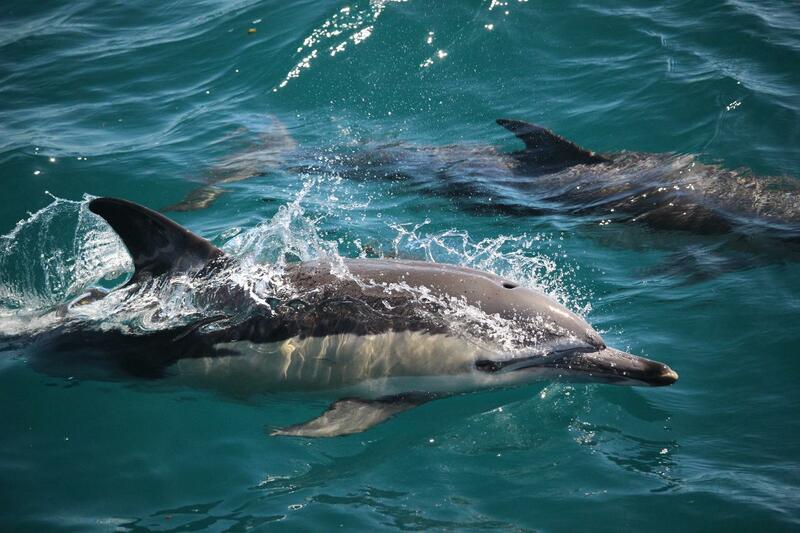 The friendly experienced crew will ensure you make the most of your time while on and in the water with the dolphins. Not only do we give you the opportunity to swim with dolphins, but you will also visit one of Bay of Plenty's beautiful islands. Here we offer you a barbecue lunch and you have time to snorkel with one of our guides in a stunning bay, exploring the amazing underwater flora and fauna. Our local knowledge of the Tauranga area is second to none and we love to share our rich and special marine environment with locals and visitors all through the summer season. All the specialised gear you require is provided and the crew are fully trained to keep you safe. Orca Wild Adventures is owned and operated by Kiwis and designed to be a truly fun New Zealand experience.